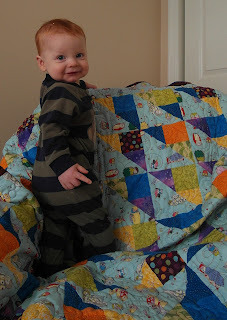 ' Baby Quilt from Grandma Sweetheart - Sisters, What! Marme makes quilts for all the grand babies. Luke just received his for Christmas. We all love it! My mom made it extra special by using some of the same material that she used on my wedding quilt (the blue, orange and green fabric). She even had his name embroidered on, as well her nick name-Sweet heart- is embroidered in. The Little one, loves, loves loves the quilt. He likes to point at the owls and the bright colors. I name the colors as he points and he laughs really hard when I say blue. What a beautiful quilt! 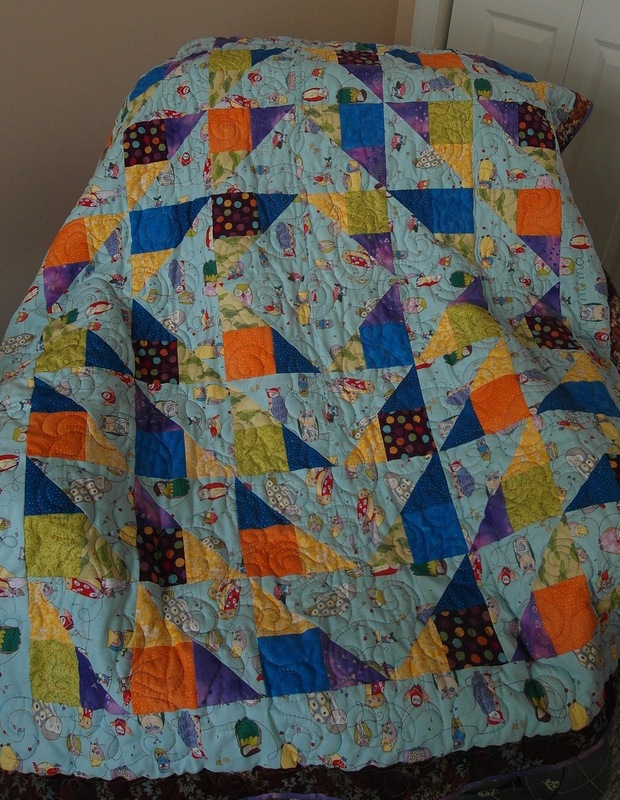 I'm so impressed with the quilting. If you are interested, we are having our first link up party at www.waywardgirlscrafts.com We'd love for you to share this and any other crafts. Thanks!